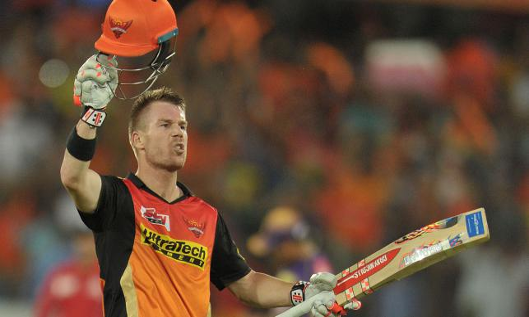 Opening batsman David Warner smashed a marauding 126 runs off 59 deliveries as Sunrisers Hyderabad registered a crucial 48-run victory over Kolkata Knight Riders (KKR) in an Indian Premier League (IPL) clash at the Rajiv Gandhi International Stadium here on Sunday. The Hyderabad captain unleashed mayhem as he milked 10 fours and eight sixes to power his team to 209/3 in 20 overs. Kolkata could only score 161/7, as Hyderabad remained behind them in the points table at the third spot with 13 points. Chasing the big target was always going to be an uphill task and Kolkata's poor start made their challenge even stiffer. Opening batsmen Narine (1) and Gambhir (11) mistimed deliveries from Mohammed Siraj and Siddharth Kaul, as Kolkata were reduced to 12/2 in 2.3 overs.